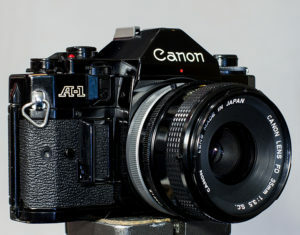 The Canon A-1 was the first camera to offer micro-processor controlled, programmed auto-exposure, where both aperture and shutter were determined by the camera. At the end of the ’60s photography was becoming more of a mainstream hobby and profession, as chemistry and equipment improved rapidly together. Improvements in manufacturing techniques lead to lower costs and higher quality expectations from consumers. Photo labs were springing up everywhere. 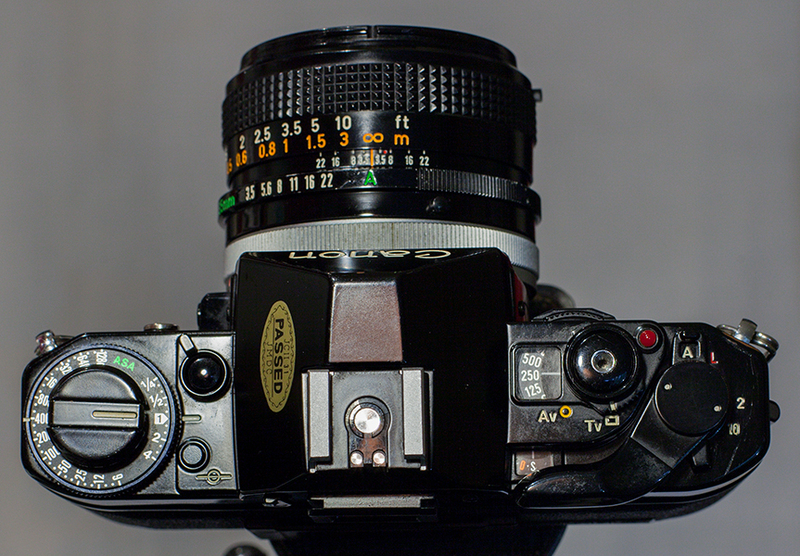 As the consumer became more sophisticated their needs evolved beyond what was practical with a rangefinder design – a wide range of interchangeable lenses having always proved difficult to use with rangefinders. 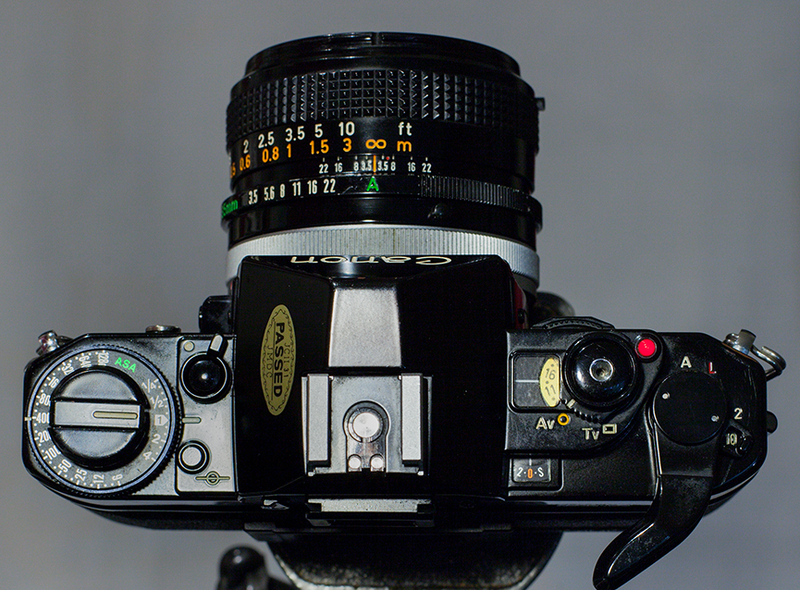 The SLR design with its through the lens viewfinder was the answer, and at the beginning of the ’70s the major manufacturers were all overhauling their designs. 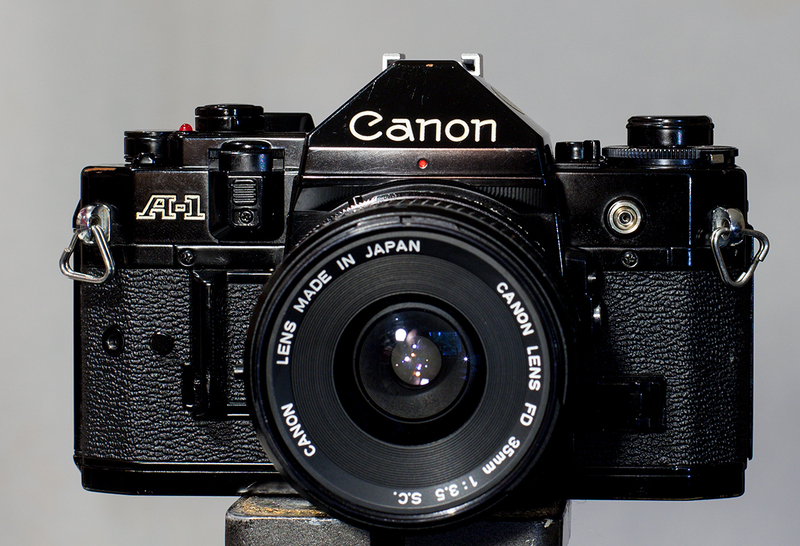 The AE-1 of 1976, aimed squarely at the amateur market, was Canon’s first step towards greater use of electronics; the A-1 introduced in 1978 was the next step towards the prosumer market for digital control. The horizontal cloth shutter was pretty standard for the time, as was the 1/1000 second highest speed. What was less typical for the time was the color choice – black only. In addition to Programmed auto (the green box or P mode) it also offers shutter or aperture priority auto exposure – at a time when most manufacturers offered only shutter priority. Indeed, the A-! 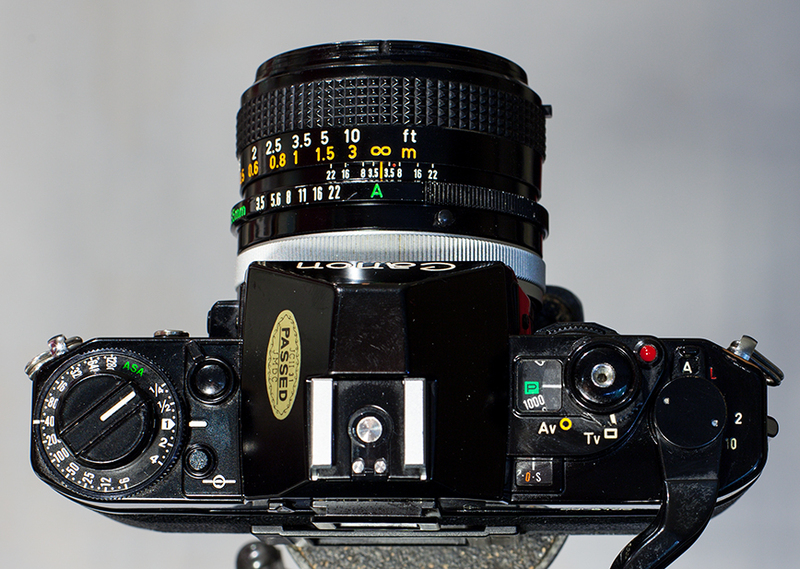 was the first SLR to feature the now standard PASM operating modes we take for granted today. 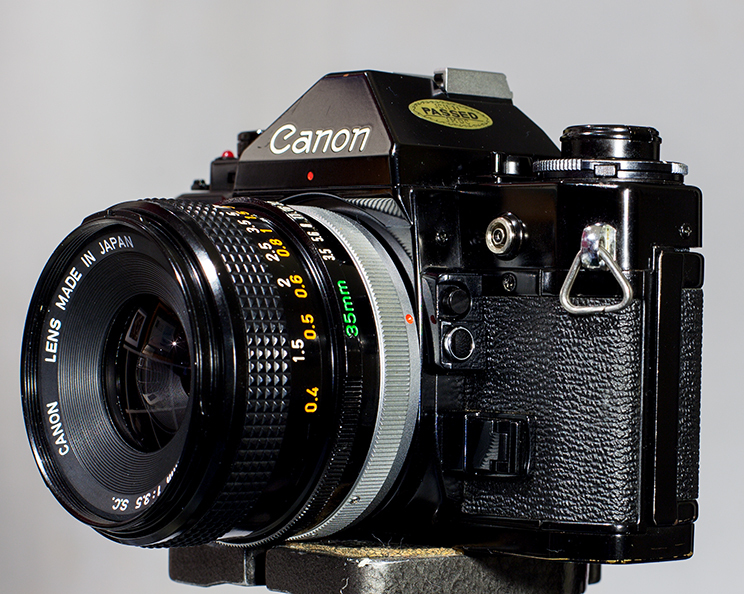 Also new at the time was the use of LED digital display in the viewfinder to provide exposure information – most other cameras of the time were still using needles or single LED indicators alongside a printed legend. The control design is quite ingenious, since it needs to provide a wide variety of control inputs without the benefit of the LCD displays we are so accustomed to today. The dual purpose aperture/shutter dial is particularly clever – see the image gallery for details of how it serves both purposes. The aluminum alloy chassis is shared with other A series cameras, which doubtless helped amortize manufacturing costs. It’s the first electronically controlled, programmed auto exposure camera and established buyer expectations that are still with us today. When introduced it caused quite a stir, offering features that hadn’t been seen before, and was a very successful seller. Although many traditionalists bemoaned the automation, it proved extremely attractive to its target amateur audience. Purchased in March 2012 for $78 on eBay, this is a nice, clean example from towards the end of the production run. 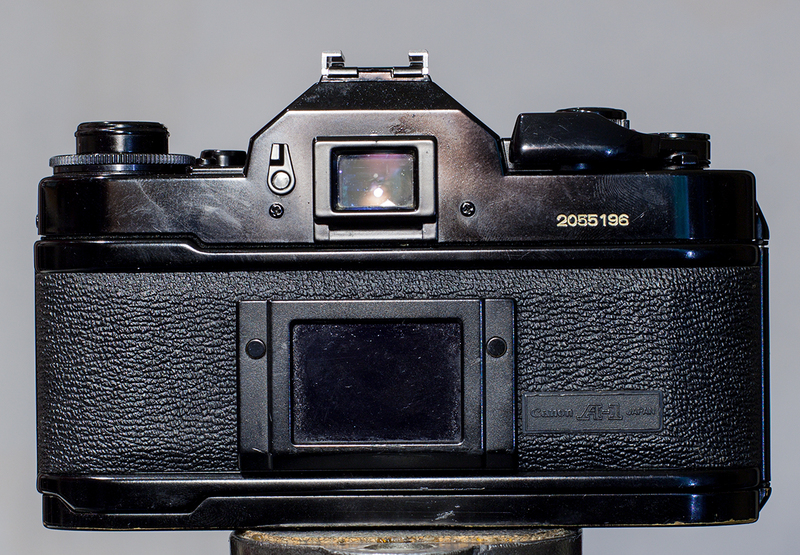 In the hands it’s a compact, solid, joy to handle even 30 years later.